Treasure is a word that stirs the imagination of everyone of every age. 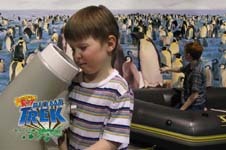 An educational and entertaining exhibit for museums and science centers, Treasure! explores the history of treasure and treasure hunting, the technology employed in hunting treasure, as well as the people and personalities that hunt for treasure. Treasure! has seven thematic areas, including underwater treasure, treasures in the attic, buried treasure, gold rushes, protecting treasure, treasure in popular culture, and the modern treasure hunt. 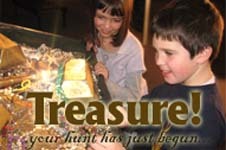 A dozen hands-on activities allow the visitor to try tools of treasure hunting and investigate treasures. Special exhibit features include actual artifacts from shipwrecks and other treasure sites. Treasure! is approximately 5,000 square feet. Expedition Earth greets visitors with the sights and sounds of the world's biomes, including tundra, grasslands, deserts, forests, and aquatic. Dozens of hands-on activities engage visitors of all ages as they learn about habitats, systems, species diversity, adaptation, and more. The research tents allow visitors to use scientists' tools and equipment to learn how they record and utilize their data. Huge photos and videos from around the world draw the visitors into each scene where they are joined by colorful characters from the Adventures of Riley book series. Exploring the world by peeking, poking, prodding, and building, Expedition Earth is great learning fun for all! 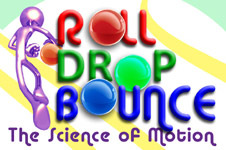 Roll, Drop, Bounce is an active learning laboratory. Visitors roll, drop, and bounce to investigate kinetic experiences and create understanding about physics and the science of motion. The exhibit inspires visitors to concoct new experiments while they play. Genuine hands-on activities engage visitors in fun discovery and provide concrete understanding. Activities like these appeal to all ages and encourage creative tinkering: moving on air currents, catapults, balancing acts, balls racing on ramps, and more. Your visitors will love experimenting and playing and will come back for more. This exhibit is approximately 1,500 square feet. Rainforests are important to Earth's climate and are favorite habitats for frogs. However, frog populations are rapidly declining, and Earth's climate is undergoing dramatic change. Forest burning also threatens habitats in the Amazon rainforest. Your Rainforest Explorers will visit a field research tent and try on climbing gear. Their journey takes them to the tree canopy where they will cross a bridge to the canopy raft. Hiding in a blind, visitors observe and identify a variety of tree frogs. Adding a leaf specimen and jaguar footprint to their field journals, the visitors will continue their data collection at the weather station. Maps and compasses round out the many activities in this very engaging and immersive exhibit. 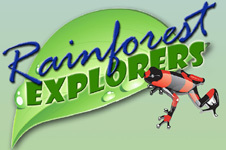 Rainforest Explorers is approximately 1,200 square feet. The Arctic tundra shares its secrets in this provocative traveling exhibit. Arctic Adventure visitors take on the role of an Arctic field scientist to investigate the shrinking populations of polar bears and their fellow tundra inhabitants. This exhibition blends inquiry-based science and relevant information to create a meaningful learning environment. Hands-on activities, supported by a narrative and colorful graphics, make the study of climate change a personal experience for all ages and fun at the same time: gather weather station data, identify ice seal species, weigh and measure a "bear cub", try on snowshoes, study maps of changing arctic ice, use a microscope, and more. 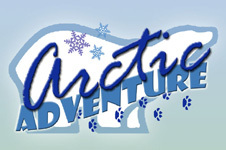 Arctic Adventure is approximately 1,200 square feet. Ocean acidification has been described as potentially the greatest environmental threat we face, yet very few people have even heard of it. 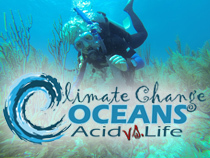 The oceans have experienced a 30% increase in acidity in recent years. We're already seeing the impacts far and wide: it's changing fish behavior, making them more vulnerable to predation; it's harming coral reefs, the most biologically diverse areas of the sea; it's upsetting the ecological balance of the seas, and the world's oceans are rapidly becoming even more acidic. Visitors learn about acidification at live-action and computer animated video stations as well as several activity stations. The exhibit is approximately 1,500 square feet. 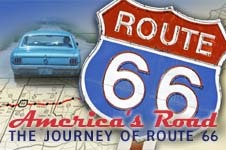 America's Road: The Journey of Route 66 takes your visitors on a geographical and historical tour of this iconic highway. The exhibit features stories, artifacts, and images, as well as several interactives. Visually, the exhibit is themed to be reminiscent of attractions that welcomed travelers and tourists. An exceptionally well-maintained, original and non-restored Ford Mustang is a keystone artifact in the exhibit. America's Road will also feature a photo essay created by photographer and author, Russell Olsen. Olsen researched and photographed 75 classic Route 66 service stations, motor courts, cafes, etc. Images and text from his project are part of this 1,500-square-foot exhibit.